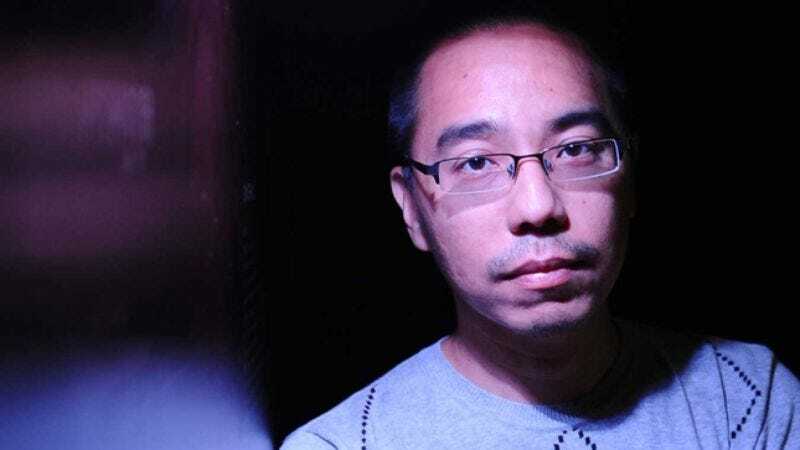 The films of Thai-born, Chicago-educated filmmaker Apichatpong Weerasethakul defy easy explanation, but that doesn’t mean they’re difficult to watch. There are few filmmakers whose work so purely radiates the joy of creation, and who express a more palpable sense of engagement with the world around them. His films contain shreds of plot, but following them only leads to confusion. They are better understood as sensory experiences, structured according to the fluid logic of memory and held together by threads of desire. The protagonist of Weerasethakul’s new Uncle Boonmee Who Can Recall His Past Lives, awarded the top prize by a Cannes jury chaired by Tim Burton, is dying, his life prolonged by periodic dialysis carried out in a remote village in Thailand’s northeast corner. But his proximity to death opens up connections to new worlds. He is visited by ghosts, one of whom is clad in a gorilla suit, and his previous existences come flooding back, including one in which he is a talking catfish who makes aquatic love to a beautiful princess. Joe, as he asks English-speaking friends to call him, recently talked to The A.V. Club from Thailand about meeting Ray Bradbury, viewing movies as tools of liberation, and the dream project for which he absolutely needs to cast Jane Fonda. The A.V. Club: How does a movie like Uncle Boonmee come together for you? What was the first thing that fell into place? Apichatpong Weerasethakul: I have to say again this little book, Uncle Boonmee—it’s a very local book. I got it quite a long time ago, maybe 10 years, or maybe six, before I started Tropical Malady, but I couldn’t think of the way to do it. It is a book where you can use your imagination. It talks about spirits and going places by your mind. I think it is a very Hollywood image, if you want to do it like that, but I don’t. So I shelved it for a long time until I had this chance to do a project in the northeast. Then I thought about it again, and I threw the idea of the biography away and I just used my own references. I view cinema as a past life, different kinds of cinema I encountered over the years, that they are dying. So I used Uncle Boonmee as inspiration and used only the name—also opening the film with the buffalo. That is one line that is in the book. The princess and other stories are not in the book. It was more like inspiration. AVC: Boonmee has showed up in earlier movies that you’ve made, so it’s something you have been thinking about for a while. What about that idea is so powerful for you? AW: I’m interested in memory, and Uncle Boonmee is the ultimate rural representation of memory that spans not only one life. The fact that it was not my own memory kept me struggling for a while, until I gave up and I had to put my own memory in. AVC: Memory is subjective, but in a sense, film is an objective medium, in that you can only take pictures of what’s in front of the camera. Your movies play a lot of games with narrative, which works against that tendency. In Uncle Boonmee, there’s no distinction between the parts of the story that are real and those that might be fantasy. How do you weigh the balance in terms of structuring the film? AW: I don’t know. It’s very spontaneous. It is like a river drifting. I try not to think logically. I think film is pretty subjective in general. There is no objective. It is always subjective when you choose the angle and when you choose to cut somewhere. Even for National Geographic so-called documentary, it is very subjective. AVC: In your first movie, Mysterious Object At Noon, you ask people on the street to tell part of a story in progress, exquisite-corpse-style, so it’s constantly changing shape. Your movies often shift styles: the gay romance in Tropical Malady is retold as a fable about a mystical tiger, complete with separate opening credits. What about putting different styles together in one film interests you? AW: I try to mimic the pattern of memory and of thinking and the randomness of life. It’s like a journey. That is the main thing about the beauty of life; that you don’t cram. And not only beauty, but also the fact that there is never a concrete thing in life. I want the movie to be a tool of liberation. AVC: And when you say liberation, what does that mean to you? AW: Liberation from expectation, liberation from the known pattern of time presented in film. It is playful. It’s what keeps me making the films, because I enjoy this play—[Laughs.] If I say play, it’s really not intellectual. But play. A game. AVC: How much of the structure of the film is planned out in the script stage, and how much does that change during editing? AW: For Uncle Boonmee, it was pretty straightforward. The idea was to make a tribute to all kinds of film and narrative, so we had to have a script. We needed to shoot in a studio with dialogue and with reaction shots, very classic, so we had a script. In the way of editing, we shuffled around and we cut out quite a number of scenes and details of the princess. AVC: You’ve said at one point that there was going to be a narration track that would have explained more of what was going on in the film. AW: There was a constant voiceover that I thought would be very interesting, like—I don’t know if I’m remembering this right—Mystery Science Theater, that kind of comment all the way through the film. I wanted to try it, and we did. All the actors were recording the conversations at the table over the images, so you can hear the images from the table while they are eating and joking around and you see other images from different lives. But somehow it didn’t work. AVC: And the idea was to add another level of interpretation, of perspective? AW: Yeah, again, it is about liberation and it is about the freedom that the audience should have. After a while, it becomes more like a gimmick and I want to enjoy the interpretation for myself. AVC: You have a science-fiction project called Utopia that you’ve been talking about making for years. What can you say about that? AVC: Say someone gave you all the money you needed to make Utopia. Do you mean really Jane Fonda, or an actress playing her? AW: No, I need her and the other actresses. [Laughs.] I actually went to L.A. and talked to an actress who played a doctor in Star Trek. What’s her name? I’m very sorry I forgot her name. AW: Oh yes, I think that was the girl. She was very interested in the project. And then I went to talk to my hero, Ray Bradbury. I really wanted to just talk with him to get inspiration, but the dream scenario is to work with him. We were serious in the beginning, but then we were like, “Oh, this is getting very out of hand.” It is a very personal film, but it needs a lot of Hollywood references. AVC: When did you first come into contact with Ray Bradbury’s writing? What about it speaks to you? AW: When I was young, there was a science magazine—you know, UFOs and Bigfoot—and somehow they had stories of Bradbury and all of the masters. I was really in tune with Bradbury because of the story—it was really like a movie, like a Hollywood movie. It had a really strong concept. When I knew more English, I started to read English books of his. I found that the language was so beautiful. It’s not really like science fiction. It is like a poem or something. It is very emotional. I was star-struck when I met him at his house. He autographed my laptop. AVC: You’ve been talking to Tilda Swinton about doing something with her. Do you have an idea in mind? AW: We met in London and we communicated before that, and when I met her, I just thought, “Wow, she is so down-to-earth.” When you see her, you know that she can really do anything. We really hope that she can come to Thailand this year and see the Mekong River, because it is the subject of my next film. AVC: Can you say anything about that film? AW: Not yet, I need to spend the time there. I know I am interested in the relationship with their neighbors, like Laos, and of course it has a lot to do with the water level and dams and Laos building a lot of dams, and also with the spread of disease for pigs. AVC: Would that be in the same region where you shot Uncle Boonmee? AW: It’s the same region, but it’s different. It’s about 200 kilometers away. AVC: You say you need to spend time there before you make the movie. How much inspiration do you draw from what is around you when you are making a movie? AW: It’s hard to say. It is automatic. Because I work very closely with my DP, we look very closely for the light. Especially with Uncle Boonmee, we knew that it was going to end up in the day-for-night technique, you know, with the blue filter in post-production. We look for certain masses of leaves and tree trunks in reaction with the light at certain times. It’s a lot of running around and looking and working against time. What we capture is really instinctive. It’s not really like in a studio film, where you have to have very elaborate planning.